Hey everyone and happy Saturday! I’m expecting some nail mail today so I’m super excited about that. 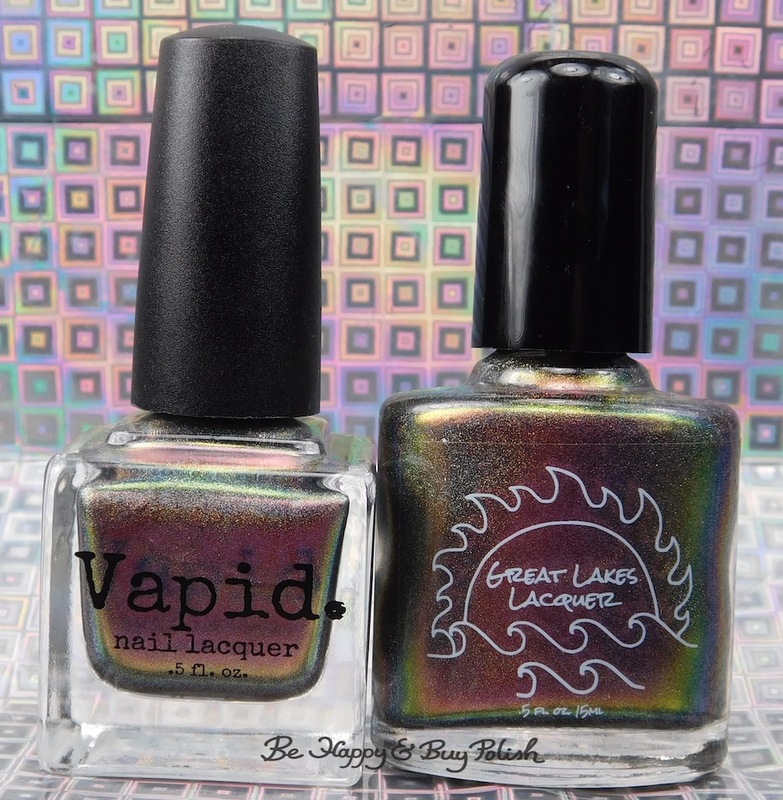 You might remember my comparison of Cyber Punk vs Great Lakes Lacquer The Centre Cannot Hold from a month or so ago, well today I’m showing you Cyber Punk by itself. Morning everyone! Do you ever have days where, for no reason whatsoever, you just feel meh? Yeah, kinda having that day. Also, I feel kind of meh about Vapid Lacquer Fish Out of Water, which I feel bad about because it was a birthday gift. Let’s talk about it! 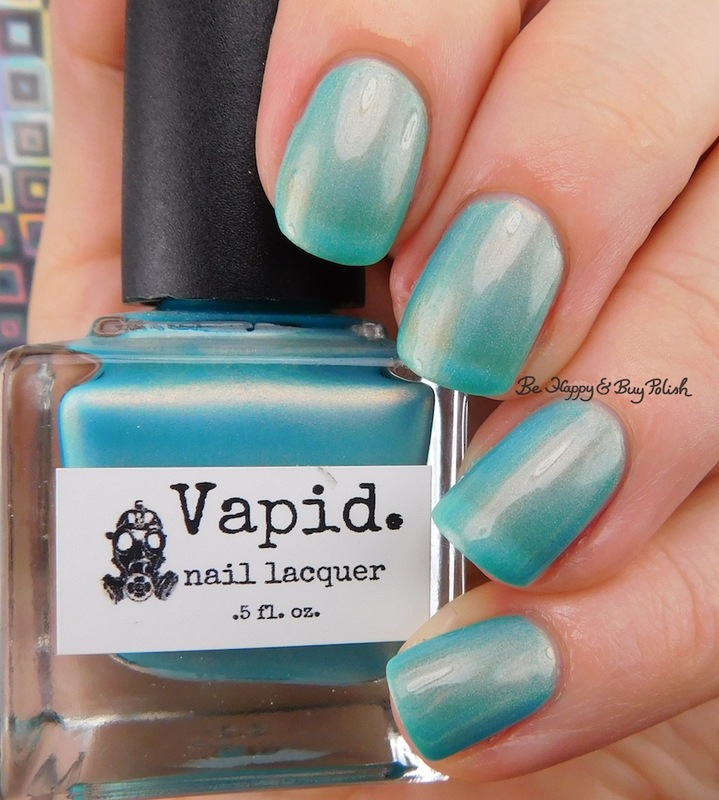 Fish Out of Water is a turquoise green with golden shimmer. Formula was thin and application was brushstrokey. It dries matte. This is 2 coats plus top coat. Like…there’s nothing wrong with this polish. It’s a pretty polish. Maybe after seeing so many beautiful pictures of it, I just felt underwhelmed when I actually got it on my nails. Do you ever feel like that with polishes? Let me know about it in the comments! 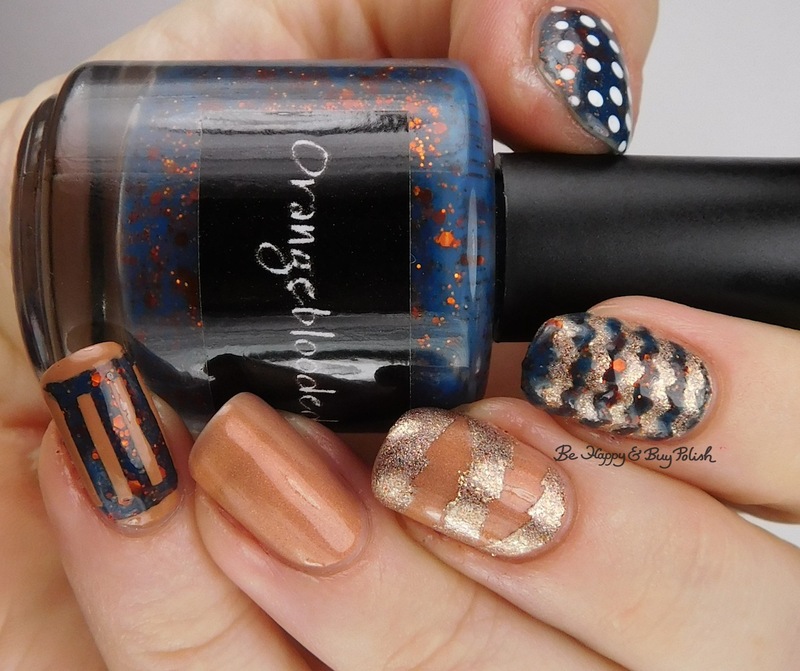 Posted in Comparison, Indie Polish, Manicures, Nail Swatches, pictures	by Jessica W.
So funny story about this polish – I could have sworn that I showed it to you. Like, I searched my archives several times and was surprised each time it came back that I had not, indeed, shown it to you. 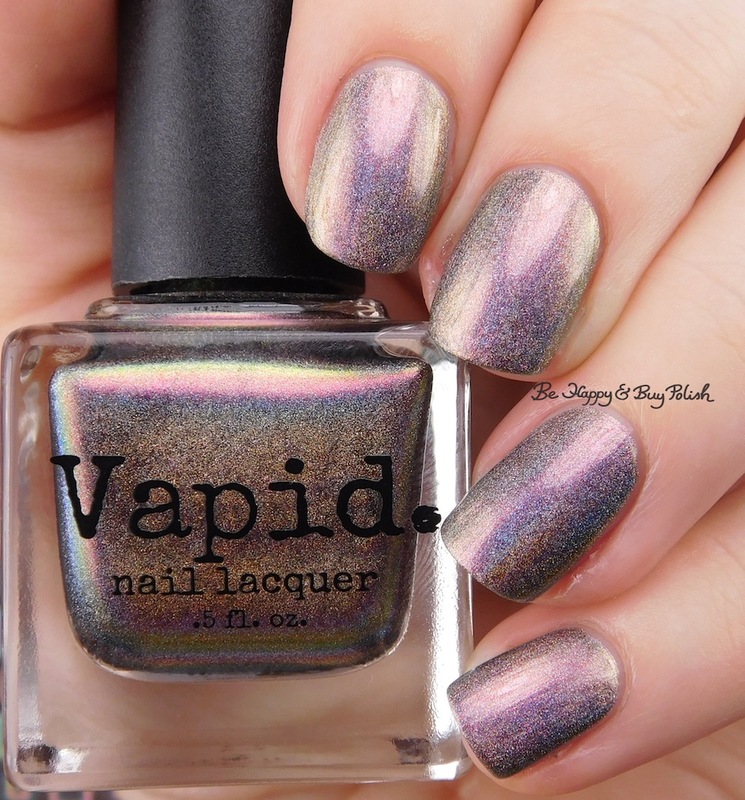 I guess it’s about high time you get to see my swatches of Vapid Lacquer Happily Ever After. 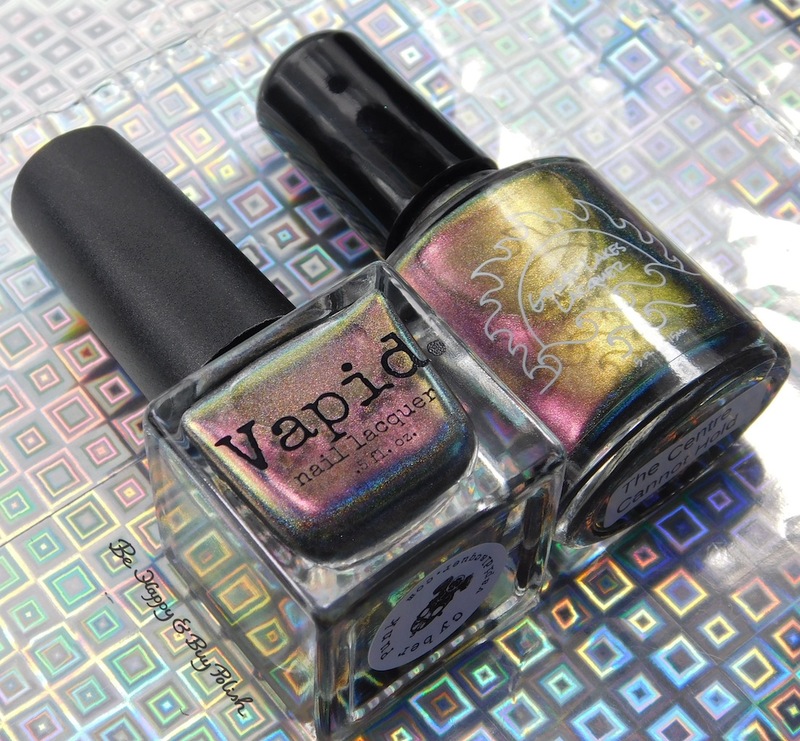 Happily Ever After is a pale pink-purple linear holographic nail polish. I don’t have anything in my notes about formula, so I guess it couldn’t have applied too badly! 😉 This is 3 coats plus top coat. Well I hope the rest of your week goes well!